Century Cycles Blog: Links in the chain: Turn Signal Biking Jacket and more! 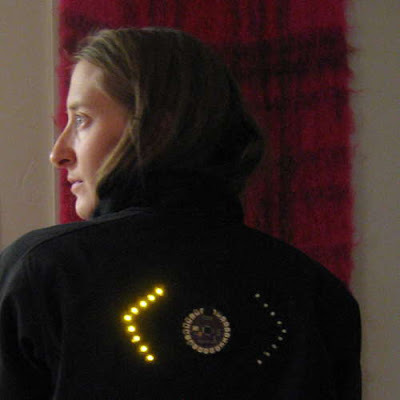 Links in the chain: Turn Signal Biking Jacket and more! Finally, NPR has shown bicycling a lot of love lately. "Weekend Edition" aired this story on America's oldest existing bike manufacturer, Worksman Cycles. We've ordered a few Worksman industrial trikes in the past for Ford and others, plus our Century Cycles ice cream trike, which makes a few event appearances a year, is a Worksman. Then "All Things Considered" aired this story about (and interview with) a naked cyclist from Portland, Oregon, who was cleared of indecent exposure charges when the judge established that naked cycling is a well-established tradition in the city.